We have open enrollment all year long! Request More Info Here. Our strings teachers are college educated and highly skilled to guide each of their students in their musical goals. Whether you are a member of a school or community orchestra and want individual help improving technique and reading, or you want to become a better solo violinist, violist, or cellist, our teachers will tailor your lessons toward your musical goals. You do not have to own an instrument to take lessons; rather, there are quality rental violins, violas, and cellos available from Valley of the Sun Strings for affordable monthly rates. In your lessons, your teacher will guide you through the best technical exercises to fit the music you want to learn. You will also work on improving your tone, your form, reading skills, musicianship, all while learning music that you enjoy. 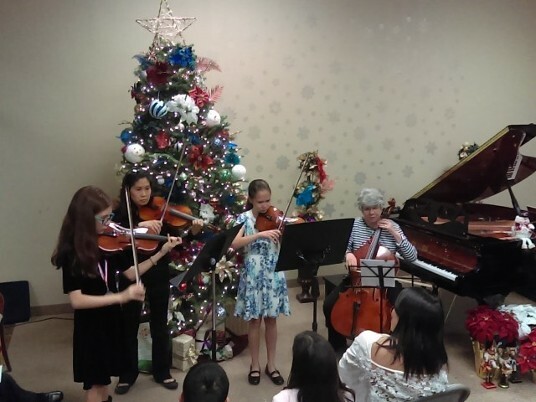 You can learn more about our violin, viola, and cello lessons by calling us (480-243-0031), or request more information HERE. Sign up today by calling 480-243-0031 or emailing scottsdaleschoolofmusic@gmail.com. Monday through Friday 2 a.m. to 9 p.m.
Saturdays 9 a.m. to 3:30 p.m. Mornings and early afternoons available by request. Call Us (480-243-0031) for More Information! You may visit the Studio during lesson hours or by appointment. This question is often asked by prospective students. Our teachers make it a priority to get to know you on a personal level and to become familiar with your personal musical needs and goals. 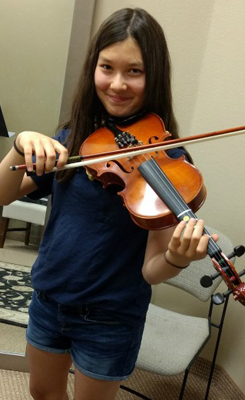 The main reason to choose the Scottsdale Studio of Music as your music lesson provider, is that we treat every student as an individual with unique musical needs and goals. We teach all styles -- including rock, pop, jazz, country, blues and classical. All of our music teachers either have college training or professional performance experience. Our music teachers are dedicated to learning about your personal musical goals and helping you to achieve them. We are confident that we have the right teacher to meet your music lesson needs. In addition to their teaching credentials, our teachers have warm personalities, are extremely friendly and dedicated to teaching you the style of music that you want to learn in your music lesson. $32.50 per 30-minute private lesson held once a week. There is a one time registration fee of $35.00 and an annual administrative fee of $35. Offering quality guitar, voice, bass, drum, violin, viola, cello, clarinet, and piano lessons in beautiful North Scottsdale.